The Amazing Spider-Man 2 debuted in U.S. theaters this past weekend, earning $92 million at the box office. Instead of a traditional post-credits scene, which normally should have teased 2016's The Amazing Spider-Man 3, this Sony sequel decided to promote another one of this summer's upcoming Marvel movies, X-Men: Days of Future Past from 20th Century Fox. Now that the weekend is over, the full clip as it was seen in theaters is available online. 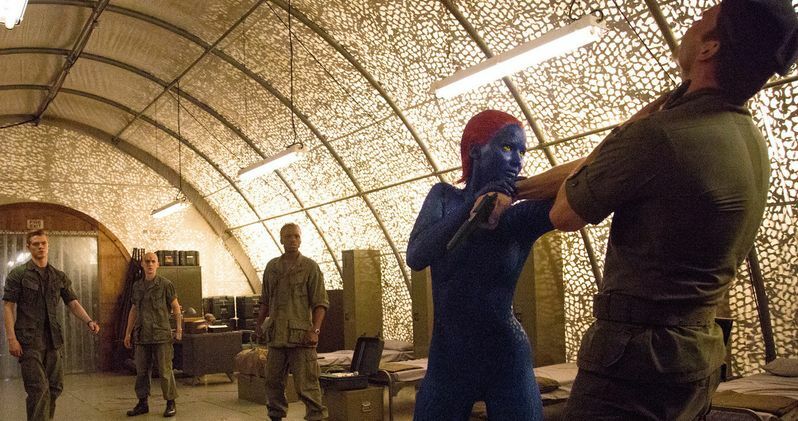 Check it out as Jennifer Lawrence's Mystique confronts General William Stryker (Josh Helman), taking him and his men out with the help of Toad (Evan Jonigkeit), Havok (Lucas Till) and other fellow mutants.